Back in 1984, Perth businessman Dallas Dempster had a smart idea. Let’s get rid of this dump! Burswood Island, an island in the Swan River just a couple of kilometres from Perth’s city center, was the site of a large landfill. Dempster suggested to the Western Australian government that the site could be better used for a resort casino. The government agreed and Dempster and a Malaysian business partner were granted a casino license in 1985. The plans called for a casino, a 400 room hotel, a golf course, a convention and exhibition centre, an amphitheatre and more. 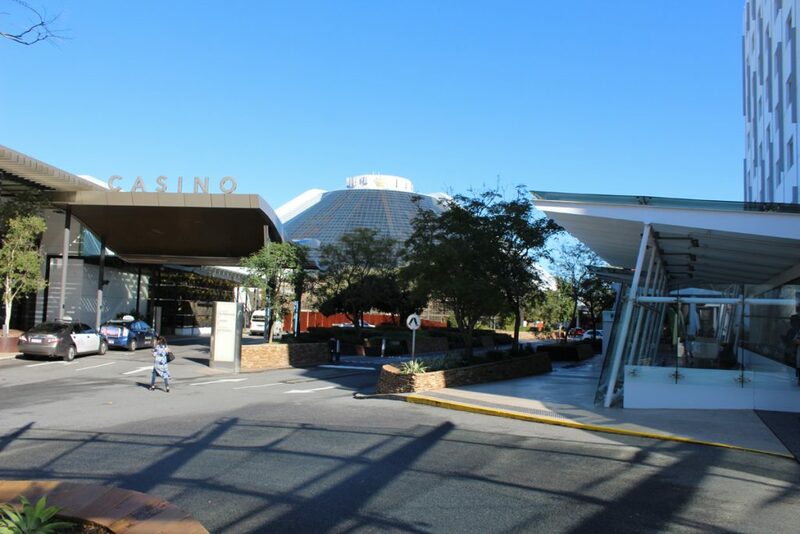 The casino, of course, was finished first and opened in December 1985. The third largest casino in the world at the time, it was an immediate success, so popular it netted $1 million a day in gross profit in its first two months of operation! The rest of the complex was finished over the next two years. 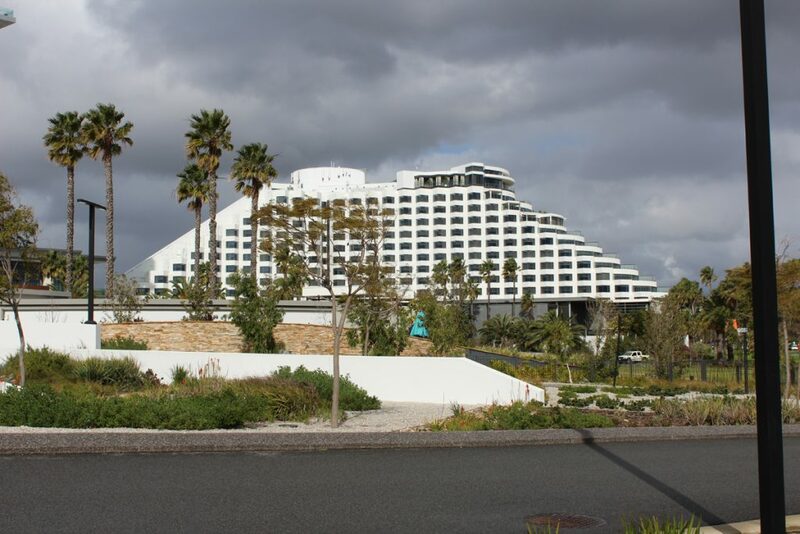 This included the ultra-modern Burswood Island Hotel. 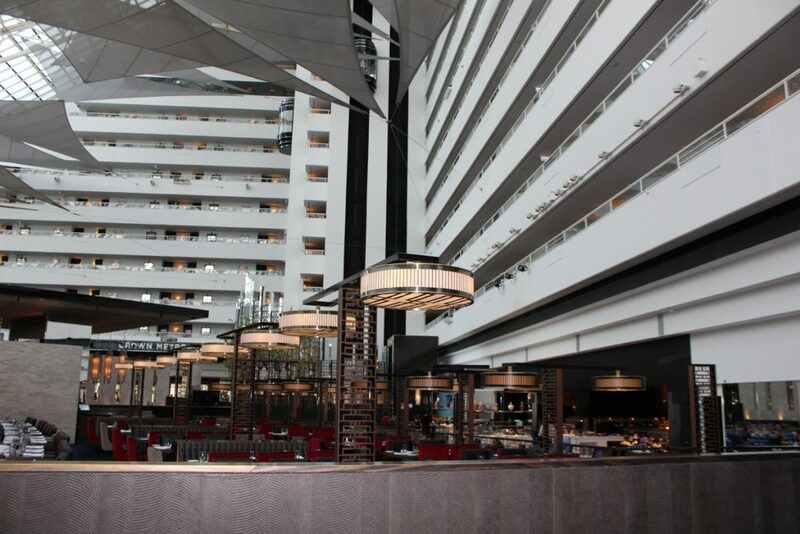 The Crown Metrepol, originally the Burswood Island Hotel, features a covered courtyard with bars and restaurants and a set of external elevators. 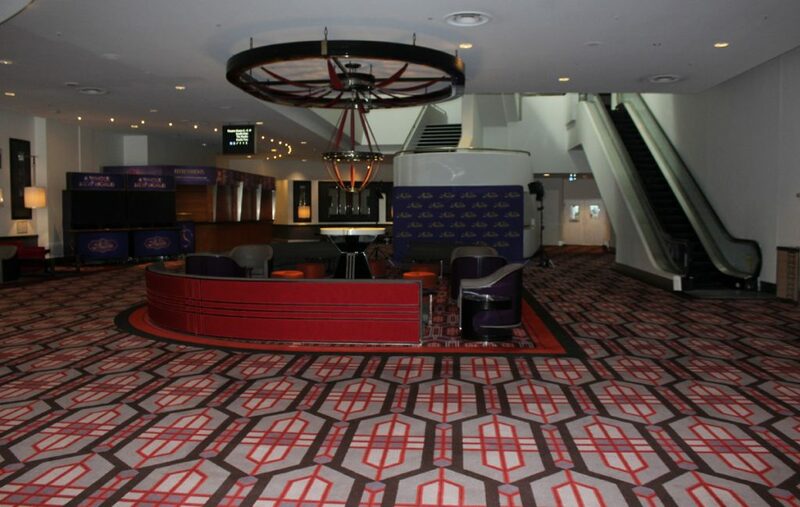 The lobby that forms a hub connecting Crown Perth’s hotels and various ballrooms, convention centers and the Crown Theatre. 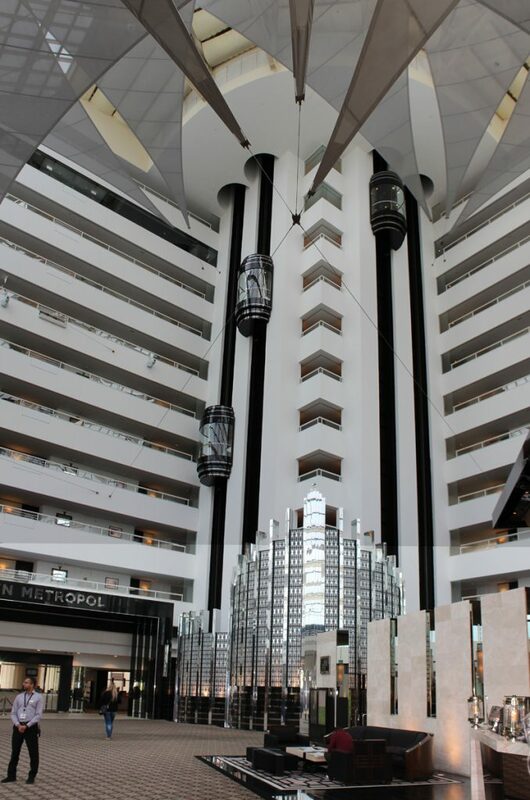 Crown Perth is the jewel in Perth’s entertainment business and Janis and I had the pleasure of staying a couple of nights there recently to celebrate our 37th wedding anniversary. 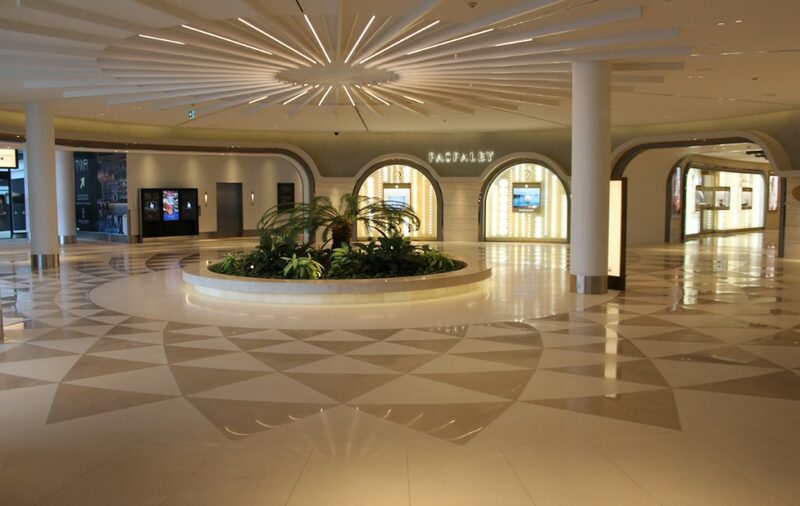 The place is world class with over thirty restaurants, several convention centres and ballrooms, a first-class theatre, spas and swimming pools, several upscale shops (including Paspaley Pearls and Rolex Watches), a night club and, of course, the casino. We had dined at three of the restaurants on previous trips, the top-notch Silks Japanese restaurant, the Merrywell and the fabulous Epicurean which serves a buffet on par with the Mandalay Bay in Las Vegas, maybe even better. During our stay we dined at three more including the Modo Mio Italian Restaurant and a couple of moderately priced restaurants. For an inexpensive but superb meal, I recommend the 88 Noodles oriental restaurant which is inside the casino. 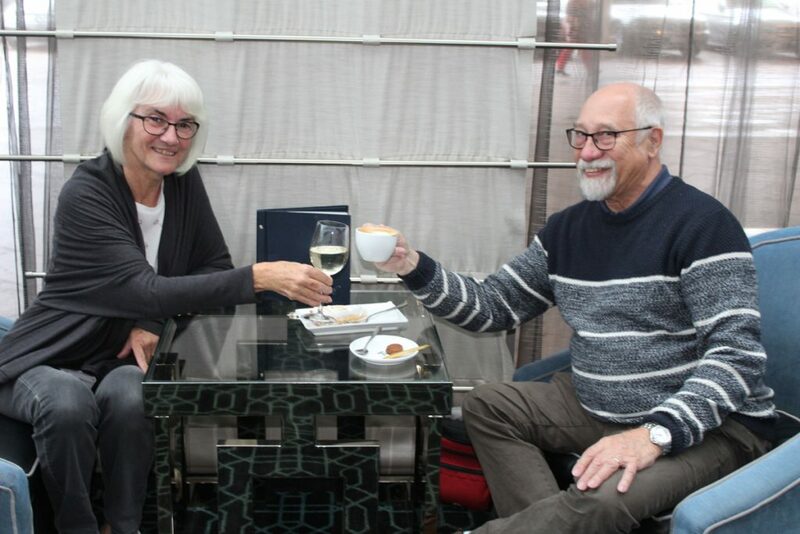 We also had drinks a few times at the Lobby Lounge in front of the Crown Metrepol. Janis and I relaxing at the Lobby Lounge. We’re not much into gambling but we did spend an hour at the slots coming away ahead by $30. Not bad since we only played two cent slots. The best part of our stay was the production of Disney’s Aladdin at the Crown Theatre. In its previous incarnation as the Burswood Theatre, it has featured a wide array of entertainers as well as major productions like Cats. Aladdin was a Broadway touring company production and was amazing. The staging and choreography were excellent. The theatre itself is on par with Vancouver’s Queen Elizabeth Theatre and similar venues. I liked it a bit better, actually, because each seat has a generous amount of legroom. Lobby of the Crown Theatre Perth. There are snack and souvenir shops on the second level as well as this one. Not far from the Crown Perth complex there used to be a domed stadium known as the Dome at Crown Perth, formerly the Burswood Dome. This venue had a long history of performances by such stars as AC/DC, Kiss, Mick Jagger, Michael Jackson, Mariah Carey, Pink, Lady Gaga, Kylie Minogue, Elton John, Iron Maiden, Britney Spears, Beyoncé, The Black Eyed Peas, Guns N’ Roses, Christina Aguilera, Justin Bieber, Taylor Swift, Rihanna, and Roger Waters. It also hosted major sporting events. The Dome was demolished in 2013 to make room for a parking lot for the new Optus Stadium which opened on January 21, 2018. The new Optus Stadium opened in January 2018. The stadium was built on part of the old golf course. 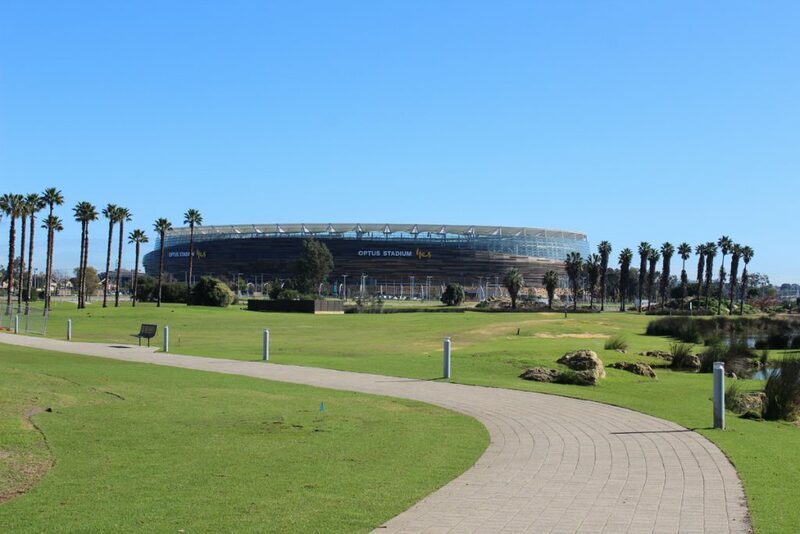 The remaining part of the golf course now forms a park between the stadium and Crown Perth. It is about a twenty minute walk to the stadium. 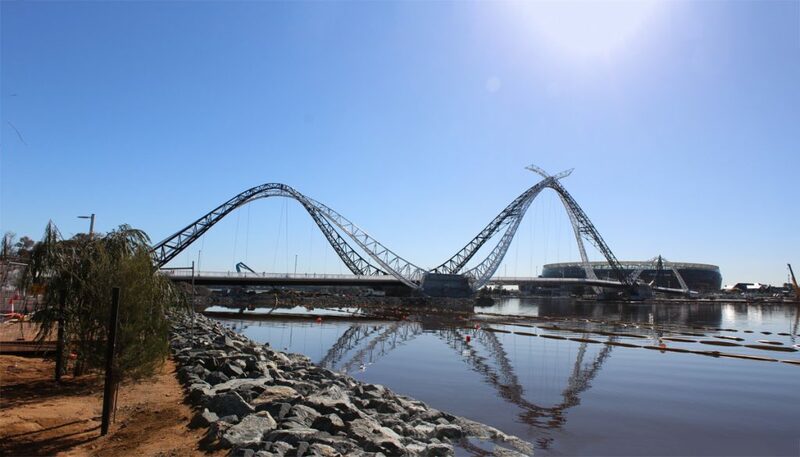 Part of the stadium project included the building of a pedestrian bridge across the Swan River connecting the Burswood Peninsula to East Perth. The bridge is a beautiful piece of architecture. 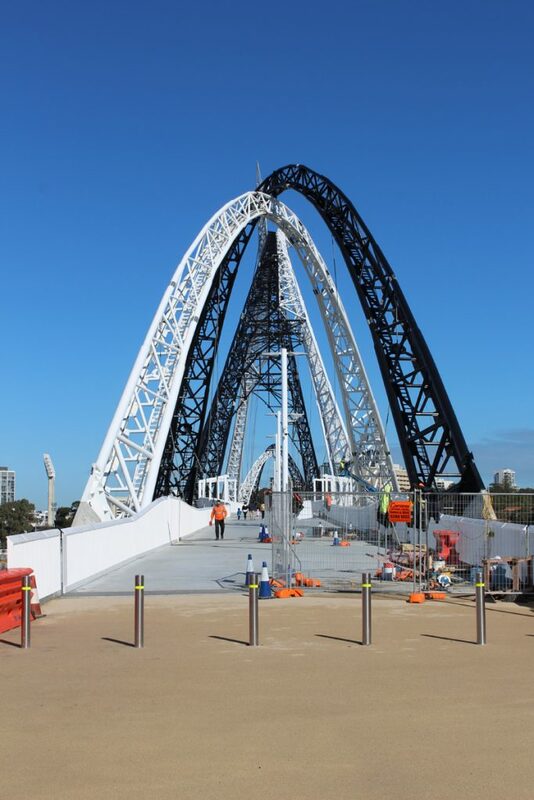 Three interlacing arches of white and black form the bridge. The Matagarup Bridge, after an indigenous name for the area, was opened to the public on July 14, 2018 so we were fortunate to have arrived back in Australia just after its opening. The Matagarup Bridge connecting East Perth and Burswood. Perth (Optus) Stadium is at the other end. Some have said the arches resemble swans. In any event, each arch has a staircase going up it and plans call for the stairs to be open to the public. 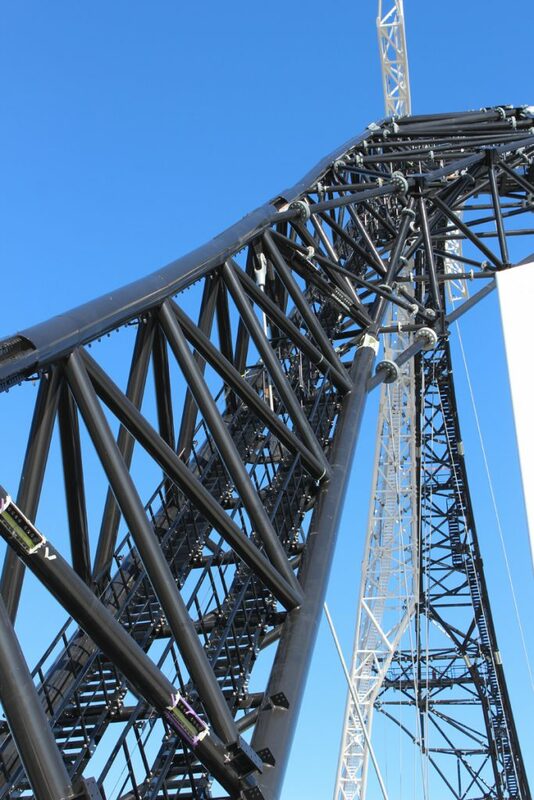 The center span soars 72 metres (256 feet) high and is about half a kilometre in length. Scaling bridges must be an Aussie thing as the Sydney Harbor Bridge is famous for its accessibility by visitors. (See my earlier article on Sydney for pics) There will likely be a charge to scale the bridge but I’d certainly do it. Maybe on my next visit it will be open for climbing! Oh…I should mention that they are also considering adding a zipline from the top of the bridge to the ground! Wouldn’t that be cool! Stairs to the top of the center span may be accessible to the public in the near future. Perth’s downtown business district is served by several free bus services known as CAT (Central Area Transit). There are two lines that run along Waterloo Crescent just up Nile Street on the other side of Gloucester Trotting Park. 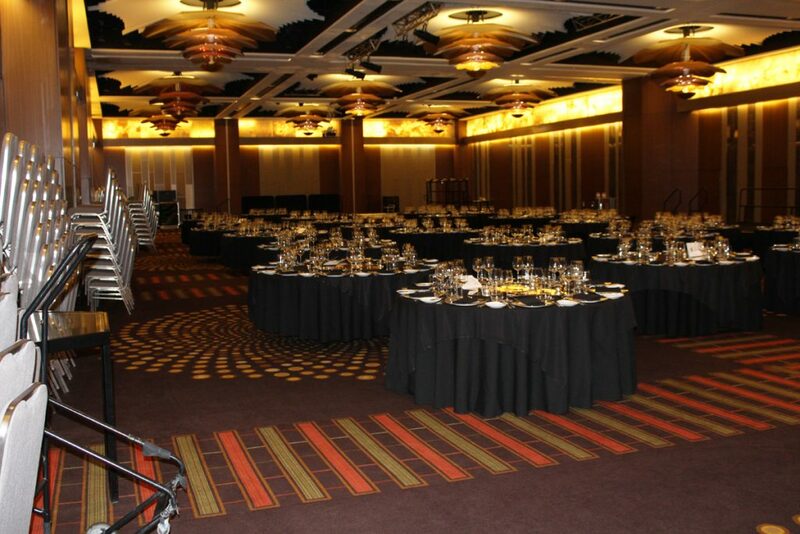 About a ten minute walk from the stadium, a half hour from Crown Perth. Crown Perth and the Stadium are both also accessible by train on the Perth-Townslie line though the Stadium Station is only open when events are on at the stadium. If the weather is nice, it is a great walk and free. The train will set you back $3.20. 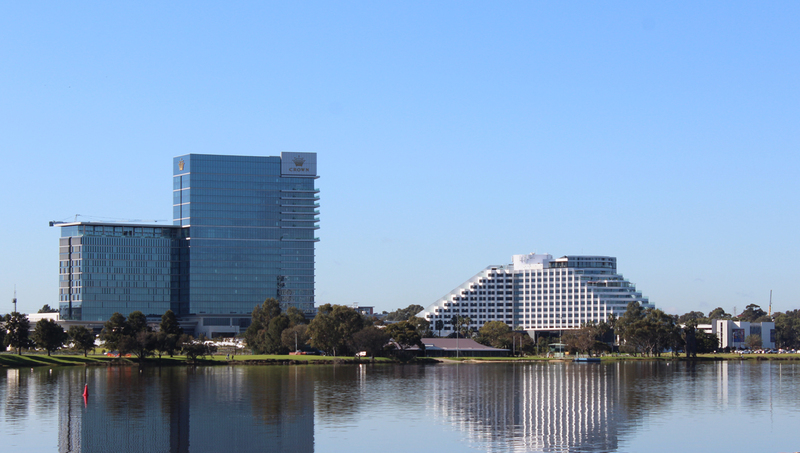 Here are a few more photos of Crown Perth and the bridge. The Crown Metrepol has a sloping glass window covering the courtyard. The other side of the Metrepol. There is a large parking lot there and last Christmas they had huge tents set up for a children’s Christmas festival. 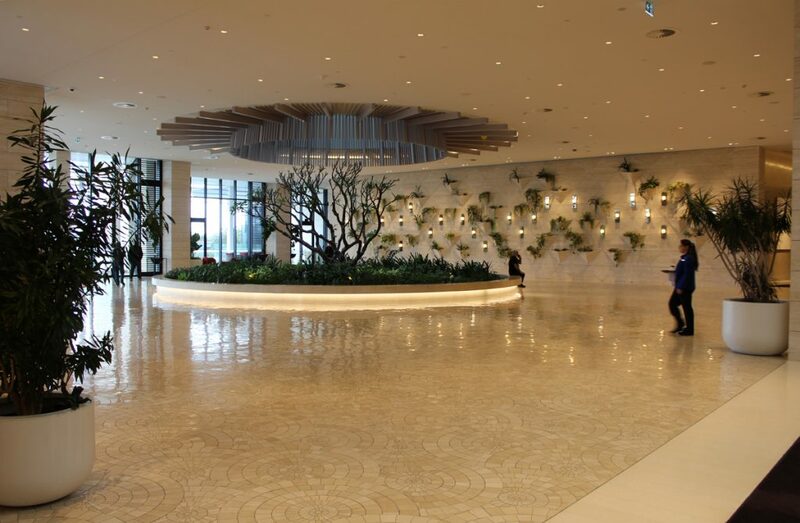 One of the lobbies at the Crown Towers. The place reeks luxury. The stairs going from the lobby to the outdoor swimming pools. The front of the Matagarup Bridge. There is still some work going on as of this writing but the bridge is open to the public. The Gloucester Trotting Park, home of harness racing in Perth and just across the river from the Perth Optus Stadium. Nearby is Perth’s cricket pitch.